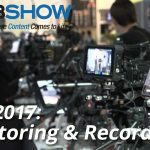 Back in early April 2018 during the NAB show, we had our first look at the Atomos Ninja V. However the 5″ monitor/recorder has yet to arrive at the market and only now a pre-production unit has somehow found its way to the hands of Caleb Pike from DSLR Video Shooter who took it for an early spin. 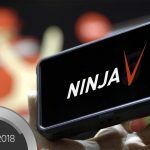 Some here is a quick reminder for those who forgot (or didn’t catch the original announcement), the Atomos Ninja V 5″ takes all of the advanced features of the larger Shogun Inferno (minus the SDI which should not be a real issue for the target audience which is mostly DSLR/mirrorless users anyway) and puts them in a tiny 5″ body. 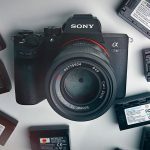 The monitor/recorder weighs only 320g / 11.28oz (without a battery and media), it is made from aluminum, it uses NP-F style Sony batteries, has a 1920×1200 pixel, 5″ IPS touch panel with 1000 nit of brightness (which should be perfectly viewable outdoors). 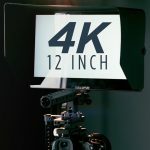 The unit can record up to 4K 60p (including support for Apple ProRes HQ, 422, LT AVID DNxHR HQX. HQ, SQ, LB codecs), LUTs, HDMI out, timecode, HDR, and support for the new AtomX SSDmini which is 20% shorter than traditional SSDs. Pike seems to be very impressed with the interface and ease of use of this monitor/recorder (although do keep in mind that he was working with a pre-production unit so the GUI might change a bit before the actual release later this year). There seem to be two things which are not ideal about this monitor – the first is the fan noise – in order to cool this tiny beast you do need active cooling and there seems to be no way to turn the fan off – so you will need to keep your mic away from the monitor. 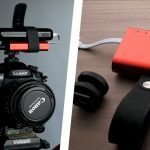 The second point is startup time – it takes this monitor quite a few seconds to boot up (we ran into this with a few other monitors as well and we hope that Atomos will be able to improve on that before the actual unit will reach the market. 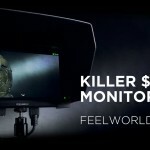 BNow, all in all, besides the size and the full set of features and future capabilities (including a connector which allows for all sorts of future attachments such as wireless units and external sound recorder to be attached to the monitor), the biggest selling point of the Atomos Ninja V has to be the price. 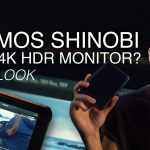 At under $700 this is going to be a hard option to pass for anybody looking for a small, high-quality outdoor capable monitor, let alone a 4K recorder.